THE WORLD LISTENING PROJECT is a not-for-profit organisation devoted to understanding the world and its natural environment, societies and cultures through the practices of listening and field recording. In July each year the World Listening Project promotes World Listening Day celebrating the listening practices of the world and the ecology of its acoustic environments. The theme for World Listening Day this year was “H2O”, reflecting on water, metaphorically in how we listen, or through creative events inspired by water and sound across the globe. The 2015 theme resonates at a time where we need to shift our collective thinking and actions towards water globally. Since the theme of World Listening Day this year was water, I decided to explore the sounds of la Seine, the river that arcs its way through the centre of Paris, for my contribution. Rather than seeking out the typical sounds of the river, waves lapping or boats creaking for example, I decided to set up my microphones at a very popular Parisian beauty spot to see what sounds I might capture. 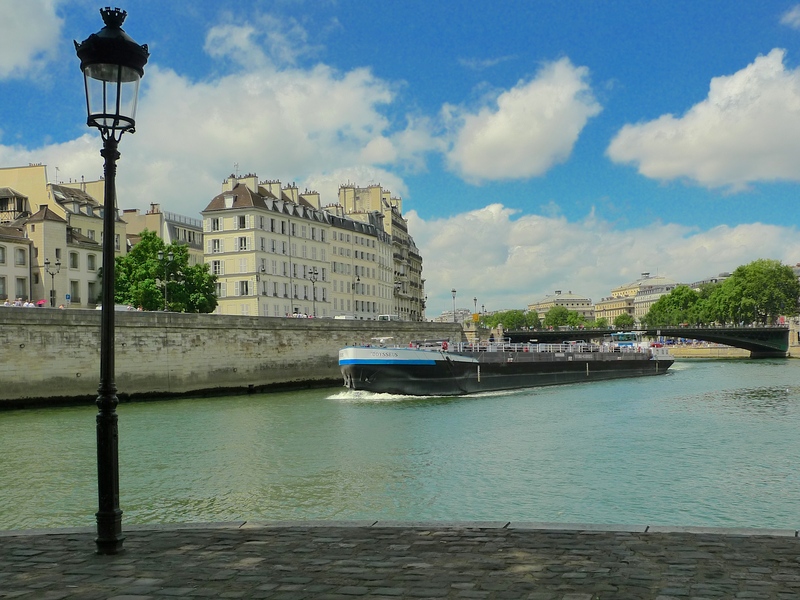 The place I chose, the western tip of the Île Saint-Louis, is in fact in the centre of the river with river traffic passing on both sides. The Île Saint-Louis, named after King Louis IX, whose piety and generosity led him to be canonised in 1297, is one of two natural islands in la Seine, the other being the Île de la Cité. 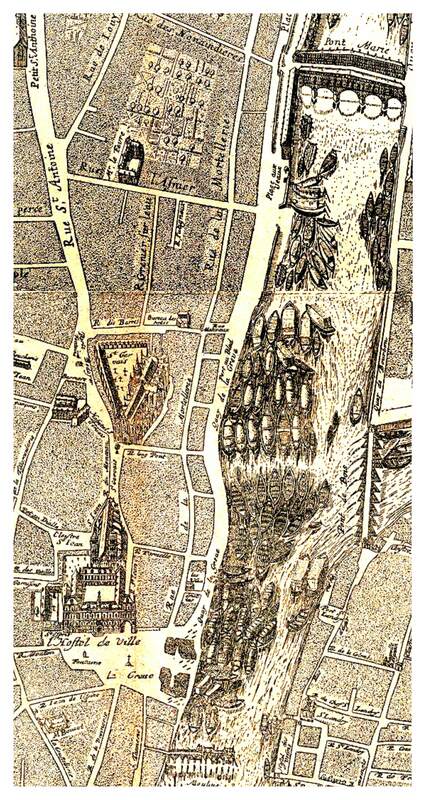 At the beginning of the seventeenth century, King Louis XIII, along with the queen mother Marie de Médicis, decided to implement an urban plan first devised by Louis’ father, King Henri IV, which transformed the Île Saint-Louis from little more than a cow pasture to a much sought after conclave of elegant residences where wealthy businessmen and politicians came to live away from the noise of the inner city. 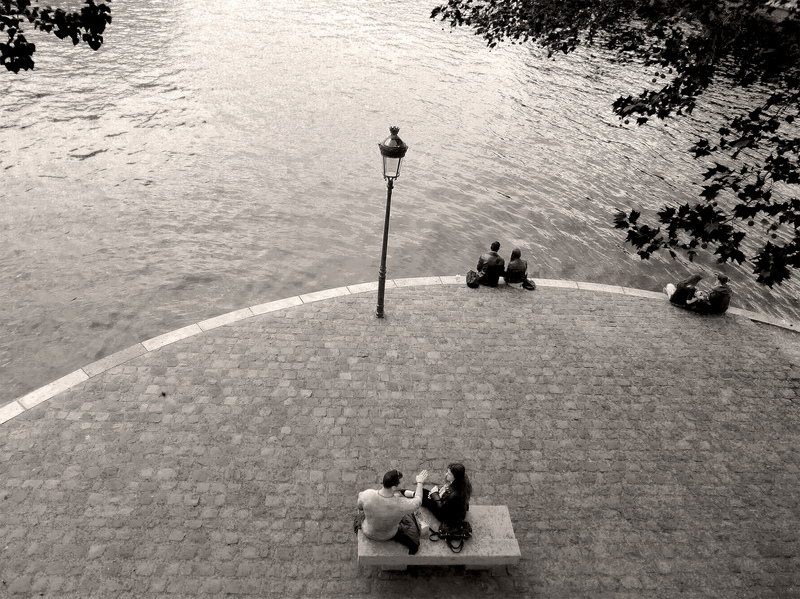 Today, the Ile Saint-Louis is one of the most authentic seventeenth century neighbourhoods in Paris. The western tip of the Île Saint-Louis is much frequented by tourists and locals alike. 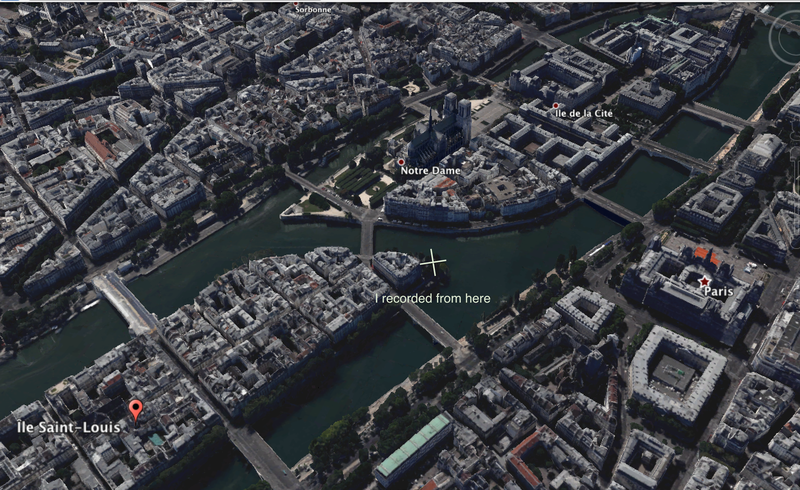 I set up my microphones on the tip of the Quai de l’Île Saint-Louis pointing downstream towards the Île de la Cité and the Hôtel de Ville and began to record. I didn’t move the microphones to follow any particular sound but rather just left them in one place to capture the ambient sound just as one would do with a long exposure photograph. 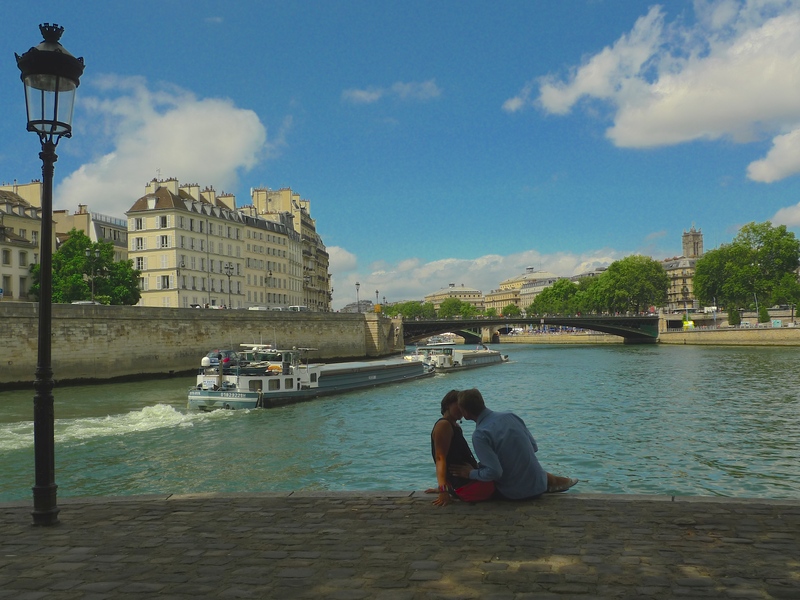 I was immediately reminded that while the banks of la Seine might be romantic for some, la Seine is and always has been a working river. The industrial barges passing by remind us that this part of the river was once the commercial heart of the city. The Port Saint-Landry was the first port to serve Paris but it was soon surpassed in importance by the Port de la Grève, which was situated alongside the wall on the right in the picture above. The port was controlled by the Prévôt des Marchands and it was the entry point for a wide variety of merchandise including wine – mainly Burgundy and Champagne, wheat, hay, fish, wood, charcoal and soil. All the goods shipped in by river were unloaded on a grève, a kind of beach made of sand and gravel which gave its name to both the port and to the Place de Grève, the open space in front of the Hôtel de Ville, depicted so graphically by the poet, novelist and dramatist, Victor Hugo, in The Hunchback of Notre-Dame. Anyone living in France today will be all too familiar with the expression faire grève, which means to go on strike. Originally though it had quite the opposite meaning. It referred to the unemployed men who would stand around the port actively seeking casual work. 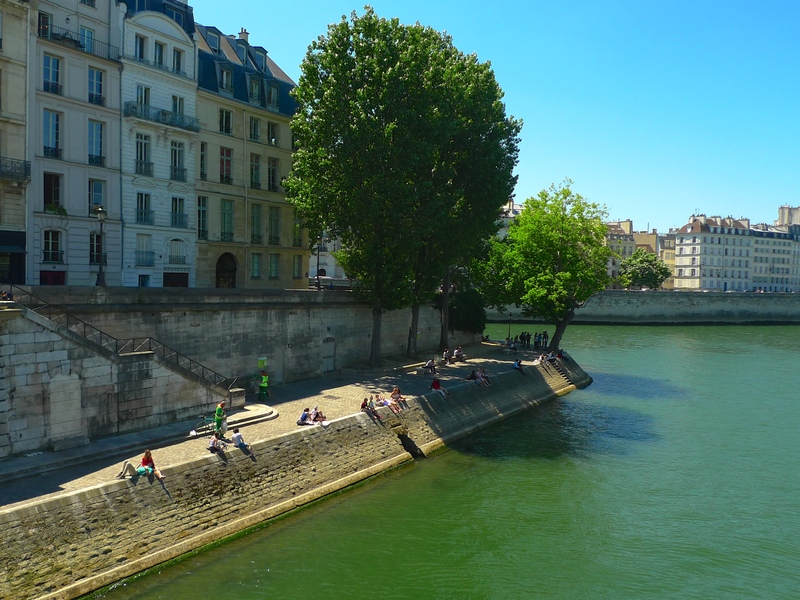 The sounds I recorded from the Quai de l’Île Saint-Louis may perhaps not be the most elegant sounds I’ve recorded along the banks of la Seine but I think they are nevertheless important. 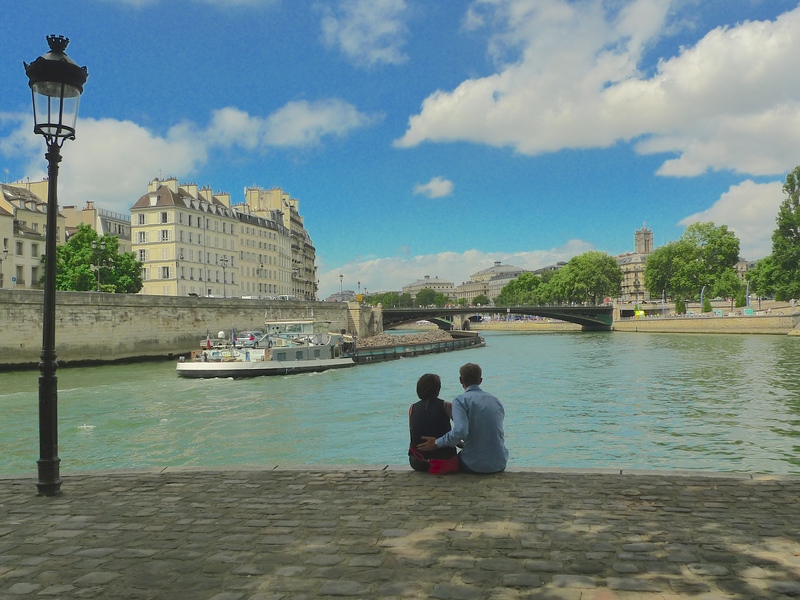 Both locals and tourists, young and old, come to the Quai de l’Île Saint-Louis in great numbers to relax, to meet friends, to picnic, or just to admire the view. With other things on their mind it’s easy to imagine that they are perhaps scarcely aware of the busy, work-a-day sounds around them. But the sounds are there and if we care to listen to them carefully we can hear the engines of commerce plying la Seine as they have for centuries and much else too. These sounds are really what World Listening Day is about – understanding the world through the practice of listening. 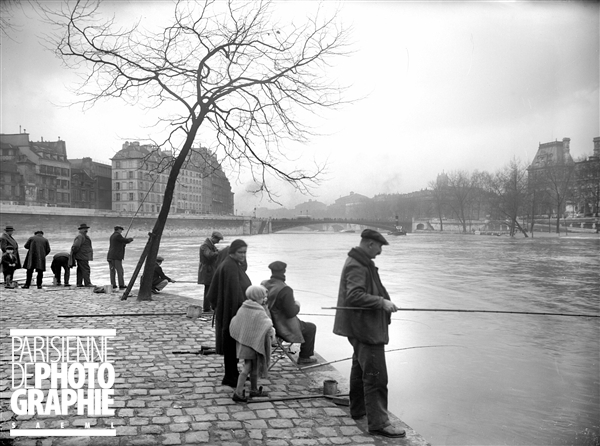 And while on the World Listening Day theme of water, la Seine is not a place you would want to plunge into for a quick dip. But Anne Hidalgo, the Mayor of Paris, has pledged to have us bathing in the river after the 2024 Olympic Games she hopes will be held in the city. We shall see!